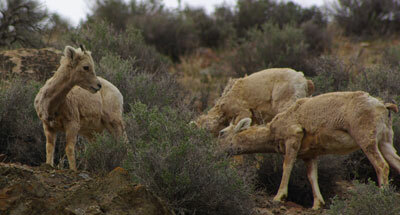 Bighorn Sheep/Domestic Sheep Advisory Group Meetings Suspended. Collaborative effort to save public lands domestic sheep grazing suspended in favor of a more closed process mandated by the Legislature and the Governor. The Governor, Legislators, and sheepmen apparently didn’t like the direction the Bighorn Sheep/Domestic Sheep Advisory Group was headed so the whole effort was scuttled…… for now. Many of the groups participating in the group didn’t sound favorable to putting their stamp of approval on continuation of the status quo. I guess all of those long meetings where bighorn sheep were hardly talked about didn’t amount to much. Now it’s time for people to give input into the process where “Best Management Practices” are developed cooperatively between the sheep permitees and the Idaho Fish and Game. Will they listen to outside input? Do they have to? Will the BMP’s be acceptable to the US Forest Service? Will the BMP’s continue the same old practices? After considerable discussion, we have decided to delay further meetings of the Bighorn Sheep/Domestic Sheep Working Group. As most of you are aware, a new statute is in place, S1232a, which directs Idaho Fish and Game to “within ninety (90) days of the effective date of this act will cooperatively develop best management practices with the permittee(s) on the allotment(s).” Under this timeline the Idaho Department of Fish and Game with the Idaho Department of Agriculture will be very busy working with individual producers to develop best management practices. Unfortunately, this timeline will not accommodate a collaborative process. We do intend to reconvene the working group in late summer or early fall and appreciate everyone’s effort to date. Additionally, we would like to invite all working group participants to submit BMP comments to IDFG within the 90 day period.